The apartments located in this building on ul. Kosciuszki are available for medium term and long term rental, from a minimum rental period of three months to one year or longer. This building is modern - from 2004 - and incorporates features such as 24 hour concierge and security, lifts and underground parking. 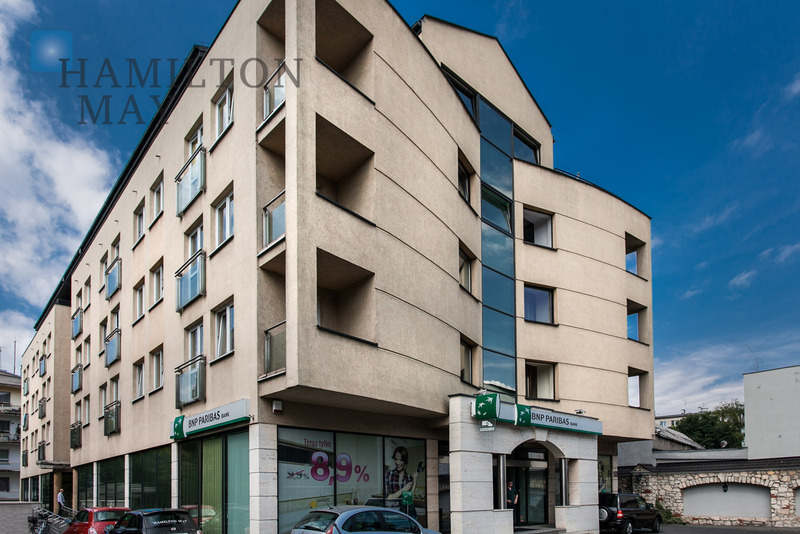 The building is located in the Salwator district, a short distance from Krakow's old town and with a tram stop outside the building. Very close to the banks of the Wisla River, the Blonia Park and the Kosciuszki viewing mound and Las Wolski forest. Next door to the building is a large Alma supermarket. There are a choice of studio apartments (measuring 33 square metres) and two-bedroom apartments (measuring 72 square metres) as well as several larger penthouse apartments on the top floor with large outdoor terraces. Apartments are offered at competitive all-inclusive prices which include free LAN internet and all utilities. The owner of the building can provide invoices to corporate tenants.